​Chiropractic is simple yet profound. 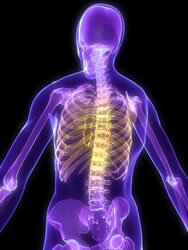 Chiropractic optimizes your bodies innate potential to heal and regulate itself at the highest level. Your body heals your body. When the nerve system is balanced, your body does this at the highest level. Chiropractic balances your body, through the nerve system, so your body is able to heal itself and control itself at it's peak potential! Chiropractic is the world's largest drug-free profession and the only true "health care" profession that is based on the principle that you and your family are designed to be healthy! Join us in our mission to transform kids and families through chiropractic, your well-being awaits!